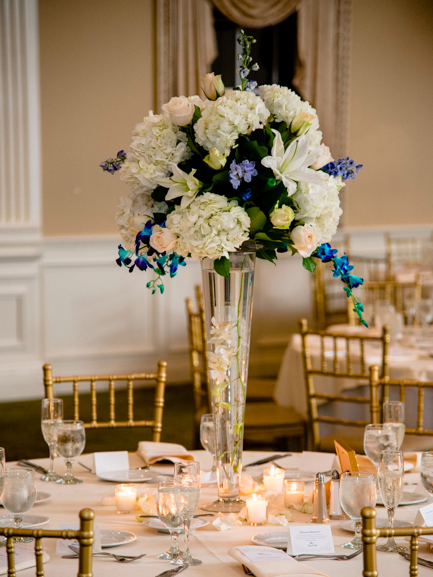 For classic brides in the Garden State, this real wedding is as timeless as they come! 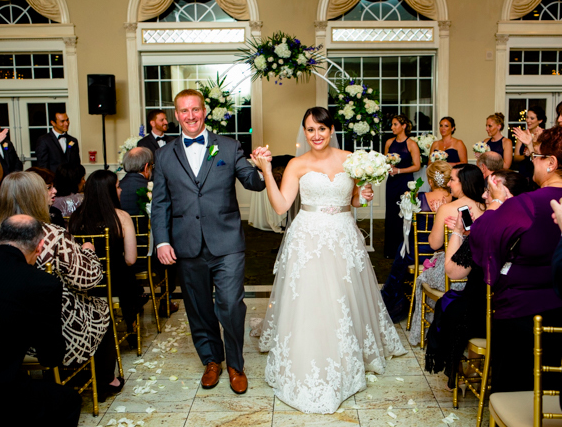 This elegant wedding at the Old Tappan Manor had pops of royal blue and blush details. 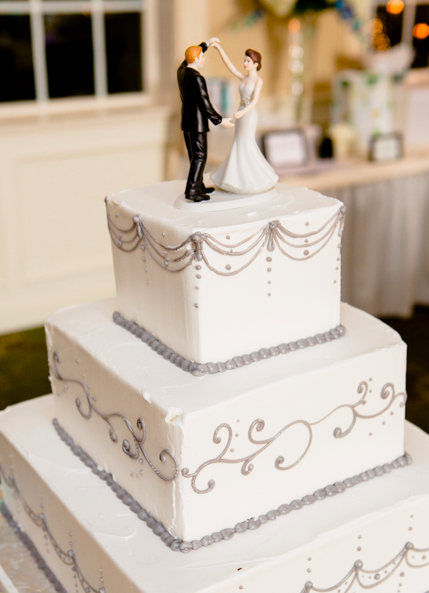 Planned by Amanda of Smiling Through Chaos, the wedding details were full of flair from the brides dress to the cake. 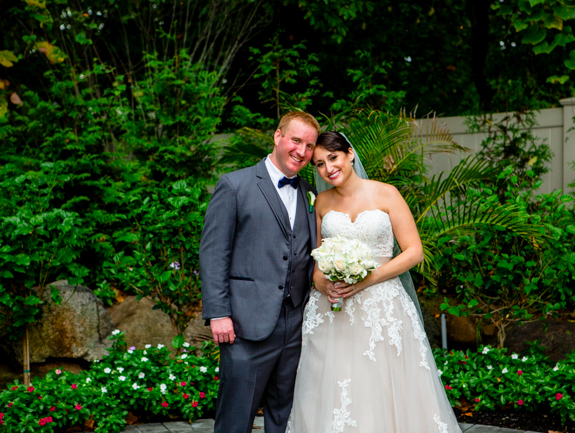 Scroll down to see this elegant wedding at Old Tappan Manor. 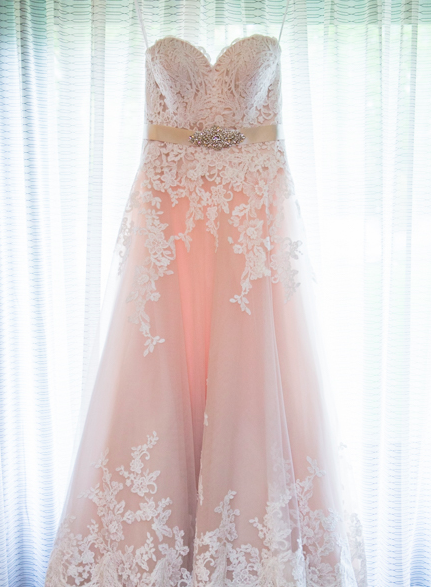 This strapless gown with lace detailing is beyond stunning! 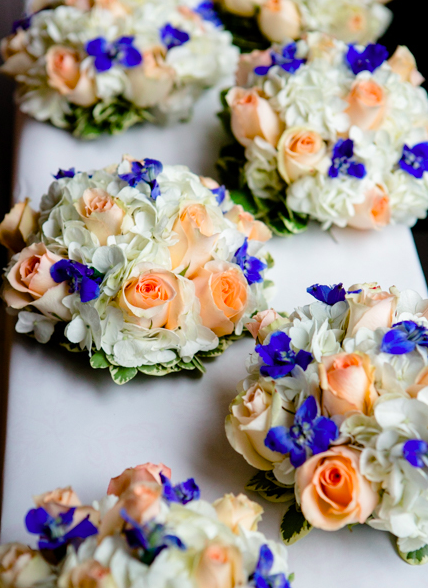 Pops of royal blue and blush make for the perfect palette. 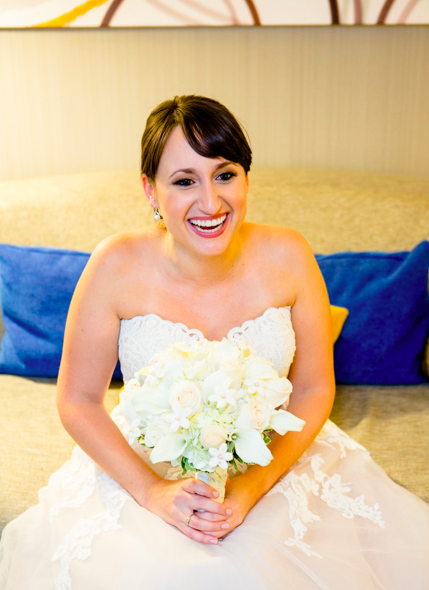 This bride was simply glowing on her special day. 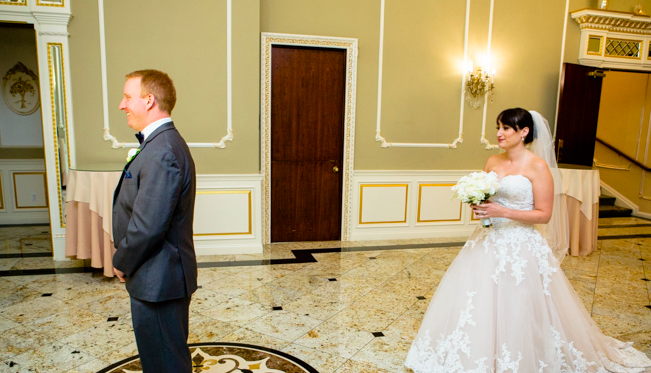 The anticipation of seeing your life partner for the first time that day…so sweet! 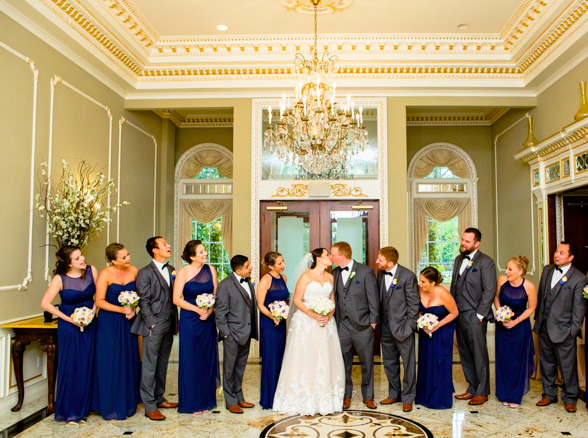 Bridal party looking dapper as ever. 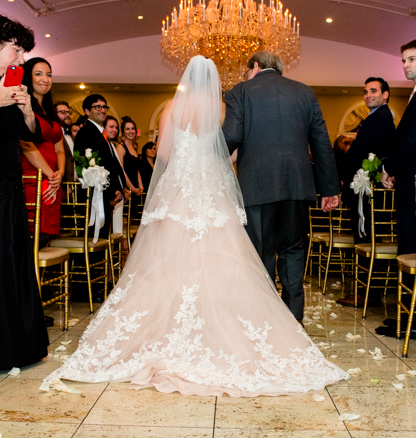 That veil & that train are perfect together. 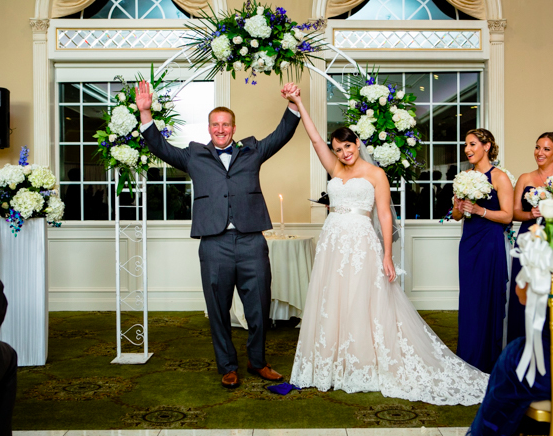 The happy couple ready to start the night! 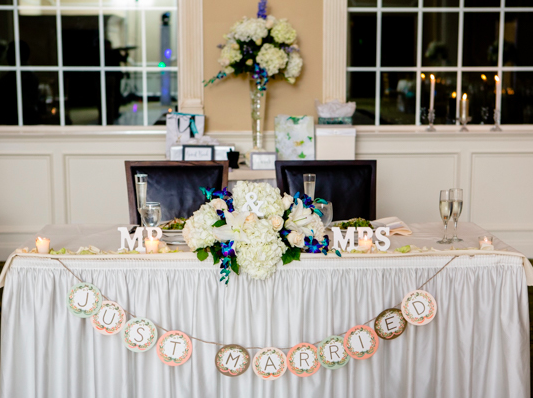 Talk about one sweet sweetheart table. We love a good bunting sign. Surrounded by the lush greenery that New Jersey has to offer. 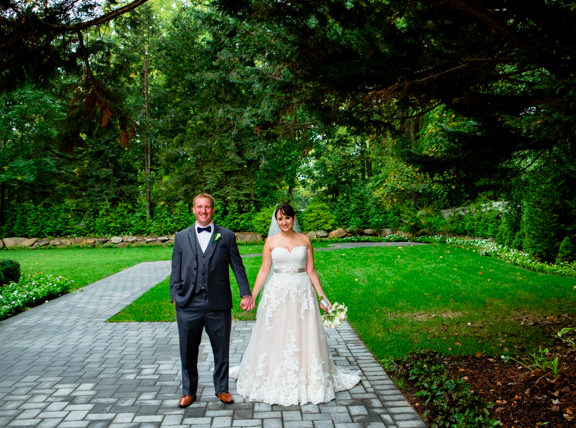 Such a stunning backdrop for a lovely couple.